If you were somehow flung into Austin, with no inkling of where you were, it would be hard to imagine you were actually in the state of Texas. Aside from the odd BBQ joint, cowboy boot store, and the melodic twang of the Texan accent, Austin feels entirely different to the rest of the state. That’s partly because it’s liberal, relaxed, and has a hipster vibe throughout the city, and partly because it has a soul which is so distinctly its own. And though it may be relaxed, Austin has no shortage of things to do. Even if you were to wander aimlessly, it would be easy to stumble onto something to keep you occupied at every turn. However, knowing the general vibe of what you’re looking for will make your time in the city far more enjoyable. So let us help! 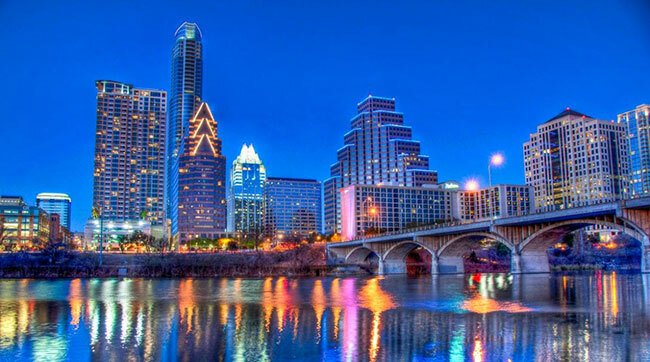 Here’s a list of eight things to do and see during your time in Austin, TX. Rock Out at the Continental Club The city has been the self-proclaimed live music capital of the world since 1991 – a title it gained for having more live music per capita than any other city in the U.S. And it’s not just the sounds of the south it provides, but a plethora of other genres including jazz, blues, rock, hip-hop, beat, progressive, metal, punk, to name just a few. Of course, country is right up there too, but it certainly isn’t the main draw, as with some other southern cities. 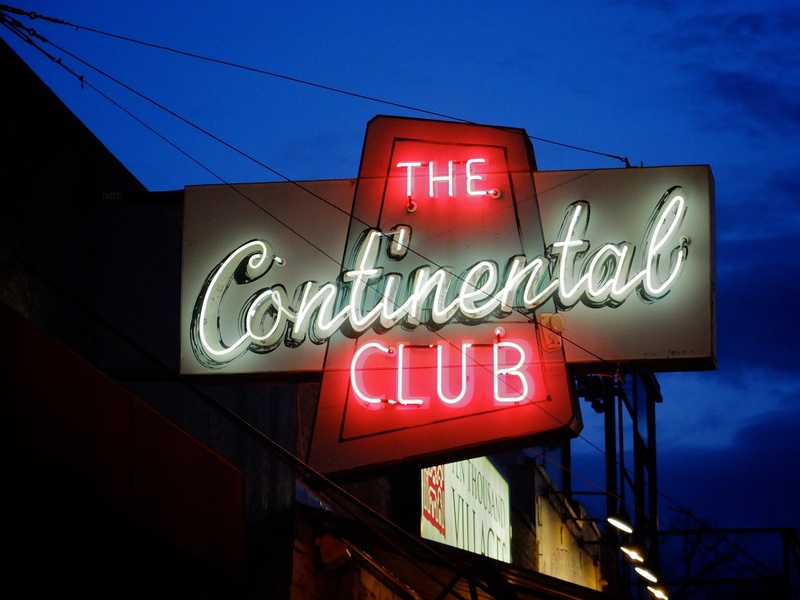 To experience some of this great live music head to the famous Continental Club, which sits in the middle of South Congress Avenue. This historic venue opened its doors in 1955 as a private club, but now boasts a different sound every night of the week. Continue the Party on Sixth Street If you’re into the idea of a night of a variety of live music, head on down to Sixth Street – one of Austin’s most famous areas. It’s loud, busy and touristy, with a combination of bars, clubs, music venues, and restaurants. In fact, it’s so popular that traffic gets blocked off from the streets for weekends and big events to allow the crowds to take over the street and bar hop to their hearts’ content. East Sixth Street – affectionately, and perhaps aptly, known as ‘Dirty Sixth’ – is host to festivals and events throughout the year, and the west is home to a growing number of live music events, with tunes to suit all tastes. Sixth Street’s highlights include bars like Jackalope, where you can sit on the back of a giant saddled rabbit which rests just inside the door. If you like taking shots with both your drinking companions and your bartenders, then this is a drinking hole to add to your list. Get that Homegrown Feel on Rainey Street For a different, and less ‘dirty’ kind of drinking vibe, check out Rainey Street, which both locals and other tourists point towards as an Austin must-see. It offers a more low-key vibe, with no shortage of beer gardens, and bar and food options. The bars themselves feel somewhat makeshift – like you’re at a friend’s house that was decked out for the night. That’s because the area used to be a residential area, situated a short walk from downtown. Old bungalows which have since been transformed into lounges and cocktail bars with spacious gardens. Despite the fact that a bouncer IDs you at every door and some bars are ‘pay in’, it does have a house party feel to it. The bars range from super spacious to dark and narrow, and the music variety has something to please everyone. Plus, the variety of food trailers will suit anybody’s palate. Grab Yourself a Presidential Plate Speaking of food, it’s not just Austin’s food trailers that place it on the culinary map. 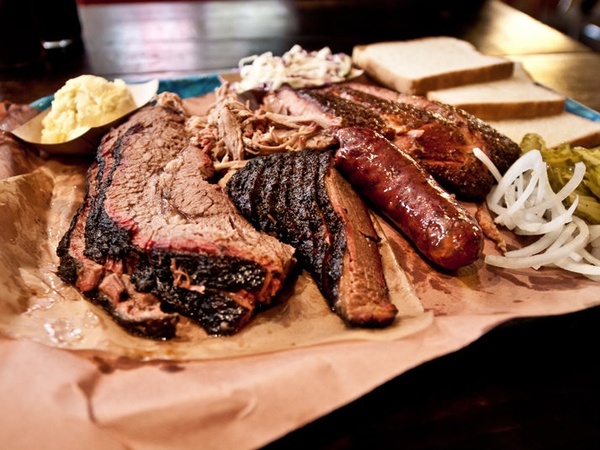 Franklin’s BBQ is another stop that visitors should discover. It’s world famous – apparently in 2014 Barack Obama joined the line, and ended up buying food for everyone behind him. And it’s sold out of brisket every day since it opened. So get there early – the line starts in the morning before lunch, and once it’s sold out it’s sold out! However, the chance to taste world famous BBQ is probably worth the risk and the wait. But, if risky lines aren’t how you want to spend a full morning in Texas, Stubb’s provides famous BBQ sauce without the suspense, while doubling as one of Austin’s most famous live music venues at night, hosting acts like the Foo Fighters, Metallica and R.E.M. Bliss out at Barton Springs With all the party, drink and live music options, it can be easy to forget that Austin also has some amazingly tranquil and relaxing spots to check out. 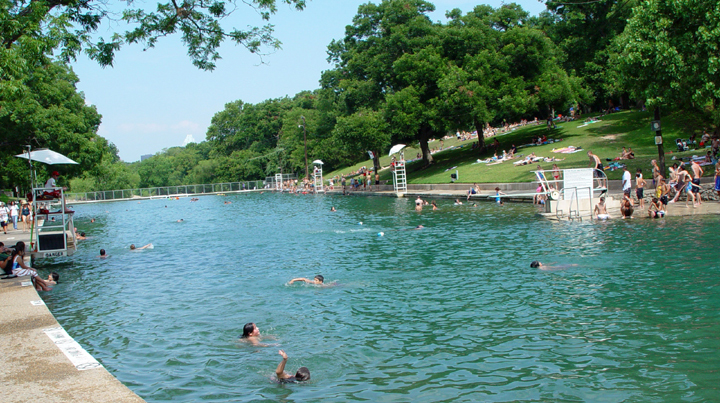 If that sounds more up your street, then head to one of Austin’s prime soaking spots, Barton Springs Pool, and take a swim. This is a hotspot in the summer but, because the pool is actually heated by underground springs, the water is a nice temperature in any season. It’s a Bit Batty, But Very Beautiful But although Barton Springs Pool may be all-year attraction, there is no denying that Austin is a city made for summer. Another reason to align your trip with the warmer months is to marvel at the city’s bats. 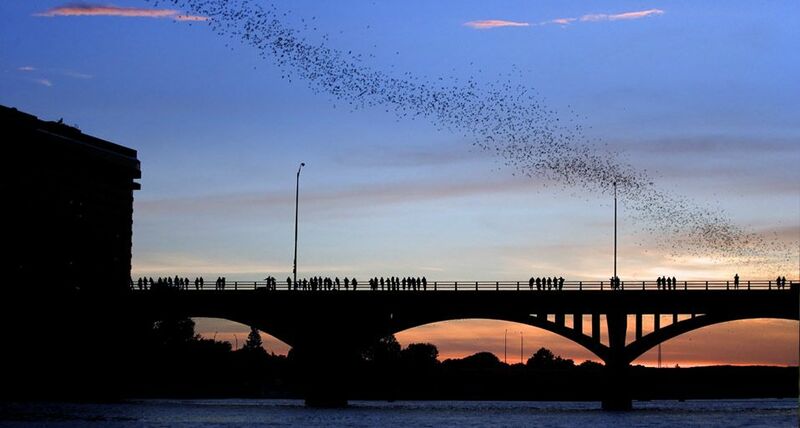 Between the months of March and October you can witness nature up close as the city’s Mexican Free-tailed bats (around 1.5 million of them, which makes it the largest bat colony in North America) take off just before dusk every day from underneath Ann W. Richards Congress bridge. You can park nearby or just stroll up over the bridge yourself to take a look. If you feel like treating yourself, do a boat ride and look up from the water. The bats take around 45 minutes to all emerge from under the bridge, so it’s definitely a unique spectacle to sit back and appreciate. See the Scintillating Skyline And speaking of Congress bridge, a stroll across it to the trendy South Congress (SoCo) area is an absolute must – with Austin’s skyline behind you and the draw of SoCo’s food trailers, themed bars, restaurants, boutiques, galleries, music venues and distinctive fashion ahead.The people you met in SoCo are hip, young and seemingly care-free and free-spirited, and the food is a fusion between southern, Mexican, and a little bit of everything else. Doc’s Motorcycle bar is a former garage, and a popular spot to sit down and grab a beer in the sunshine, and it serves pub grub, Texas beers and specialty drinks. If that’s not up your street, there are some fancier restaurants and bars further up the strip. But don’t come too hungry – some of these will have lines on busy days! 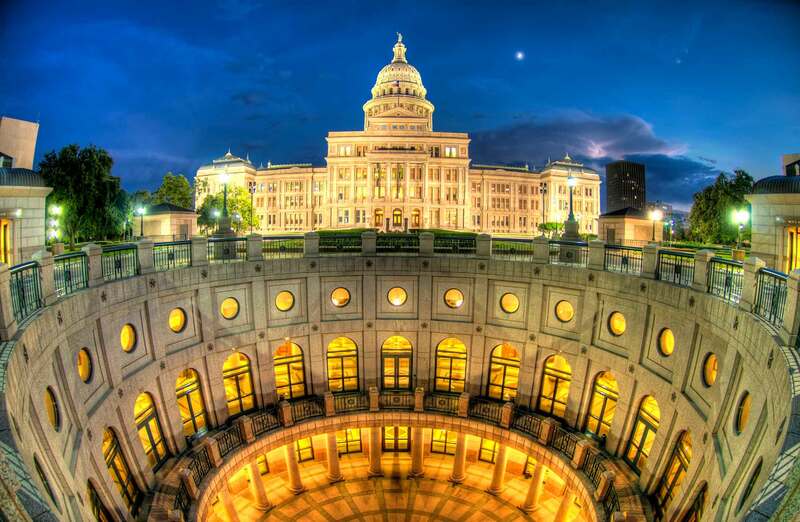 Get Really High (In the Sky) And for a little bit of culture and history before you leave, check out the Texas State Capitol building, which was built way back yonder, between 1882 and 1888. At 92.24 meters, it boasts a height six inches taller than the United States Capitol building in Washington D.C., making it the sixth tallest state capitol. Take a self-guided or guided tour of the chambers and offices (perhaps lending an ear to a guided tour whenever something they say catches your interest). So now that you know what Austin, TX has to offer, don’t forget to plan your accommodation in advance. 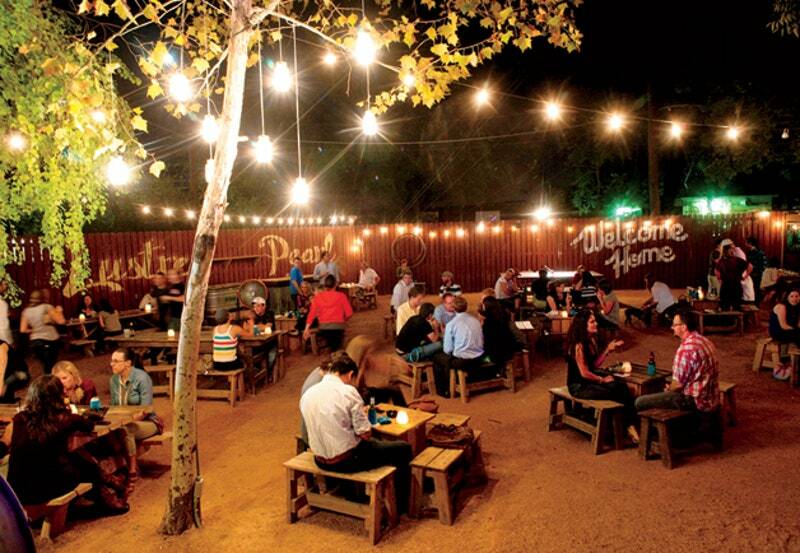 Austin is full of hostel and Airbnb options – so stay somewhere totally quirky. Grab a room with some strangers near Sixth Street, kick back in a trailer uptown, or treat yourself to a trendy Airbnb in SoCo. And don’t forget, when you’re planning your trip grab your BUCKiTDREAM planner, and share those ideas on Facebook, Twitter, and Instagram.